It’s always nice to be invited to something interesting and last week I received an unusual invitation. 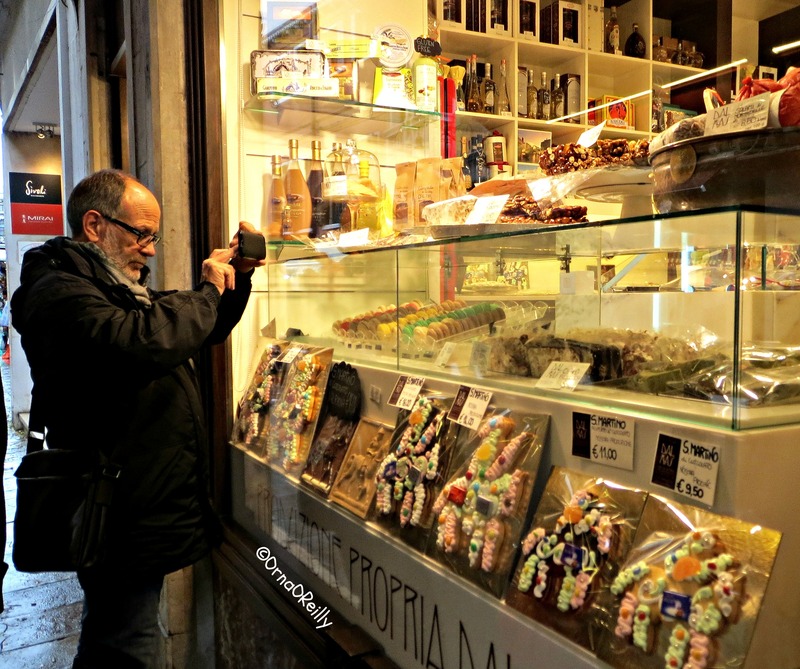 Monica Cesarato, of Cook in Venice, is in the process of launching her Walking Venice Cake & Chocolate Food Tour and wanted me to come along for the inaugural test-drive. There were three bloggers willingly taking part. Apart from me, the other bloggers were my friend Tom Weber, who writes the well-known blog on travel, wine and food The Palladian Traveler and Kathy Ayer of Food Lovers Odyssey. 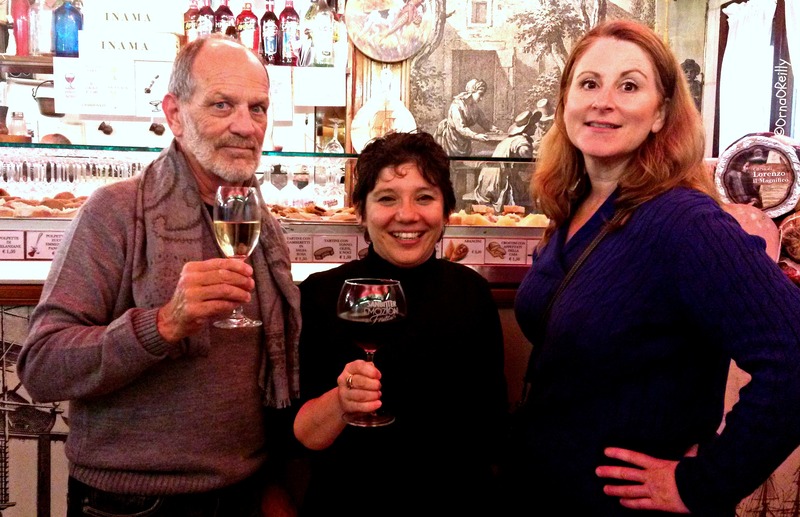 Tom Weber; Monica Cesarato; Kathy Ayers: cheers! The weather was appalling. 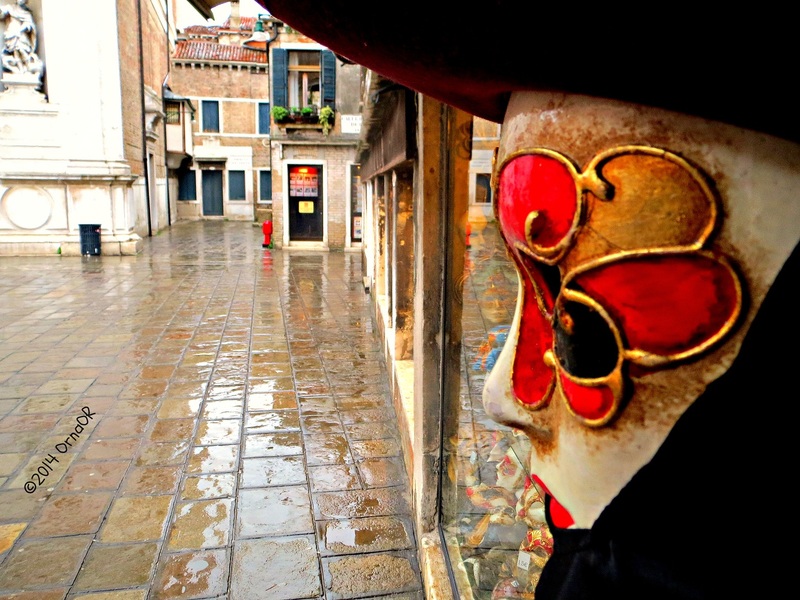 Rain poured from leaden skies and Aqua Alta was sending water – lapping furiously – into the little alleyways and shops of Venice. We began our tour outside the main railway station – Santa Lucia – where we all met, huddled under our dripping umbrellas. 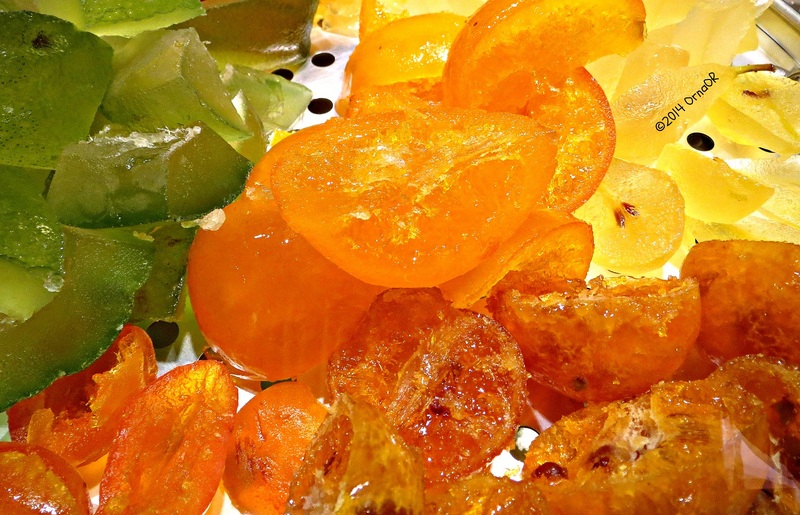 Monica, whom I had met previously, and blogged all about it on SAND, SEA & STROZZAPRETI, is a lively, energetic lady who runs a cookery school in Venice, takes guided food tours and writes an entertaining blog. 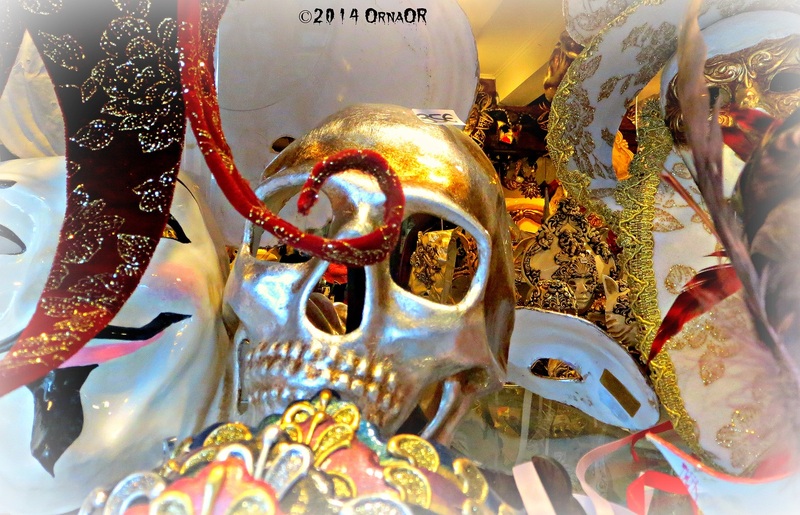 Being local, she is a veritable fount of information on all things Venetian. 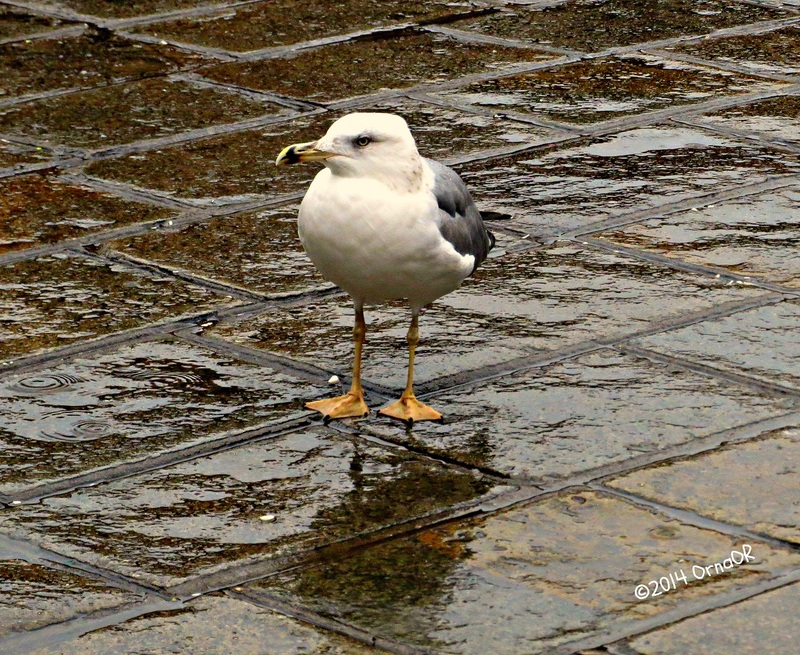 Too wet to venture out…. Sloshing our way down the narrow alleyways and finding our way blocked by Aqua Alta, we resorted to buying plastic over-boots, exactly as all the tourists were wearing. Our over-boots cost €10.00 a pair, but they saved the day and our shoes, so were well worth the investment. Most of the main thoroughfares had platforms erected on which to walk, but there were other areas that were pretty impassable and we urgently needed our new plastic bootees if we were to begin tasting the pastries, chocolate and ice cream that Monica had promised. Bring it on! Café and shop-keepers were out with their brooms and pumps trying to keep the tide at bay. Otherwise, everything carried on as normal; apart from the footwear situation. Stop for a chat during Aqua Alta. Business as usual! Note to self: purchase some Venice Aqua Alta boots. 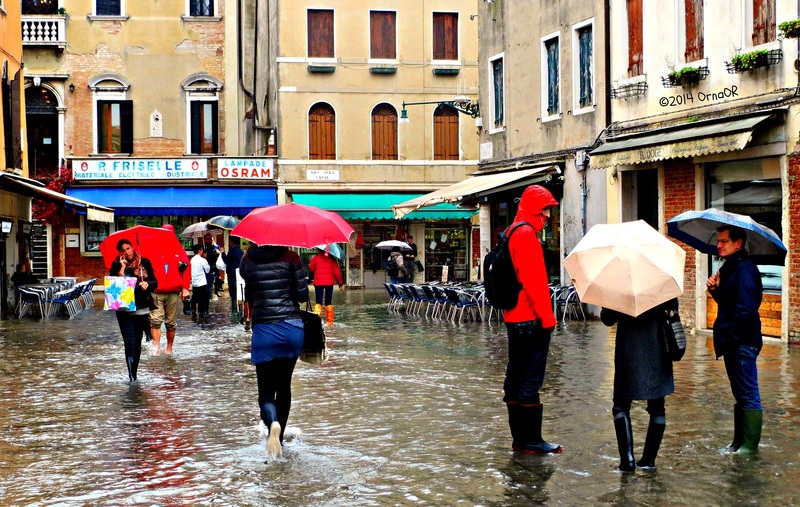 The Venetians were all very smartly shod in high riding-style rubber boots and went about their business as if all was normal; which of course it is at this time of year. Mind you, I did spot a few shop-keepers in those waist-high rubber boots you normally only see on trout fishermen in Scotland, but I digress. 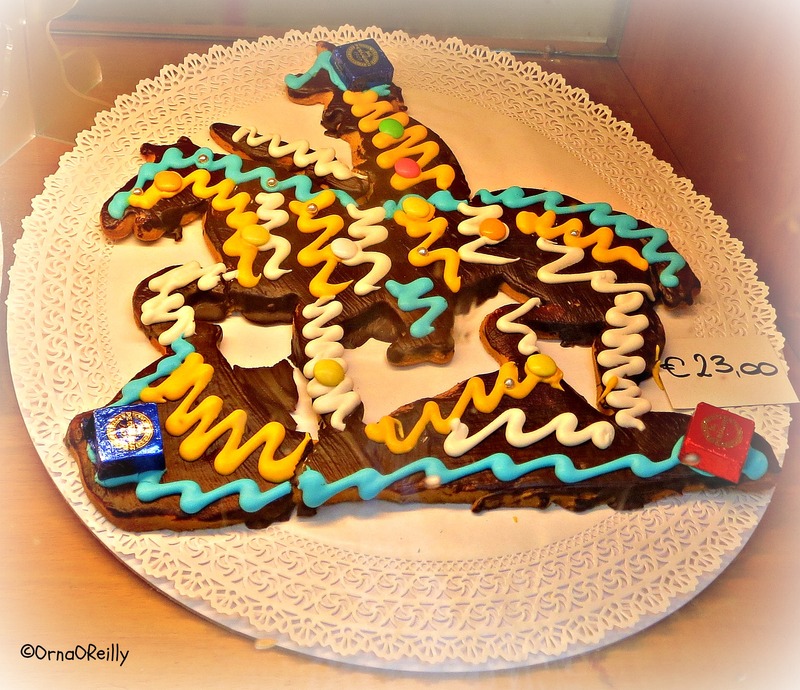 All over Italy, the tradition of the pasticceria is famous. 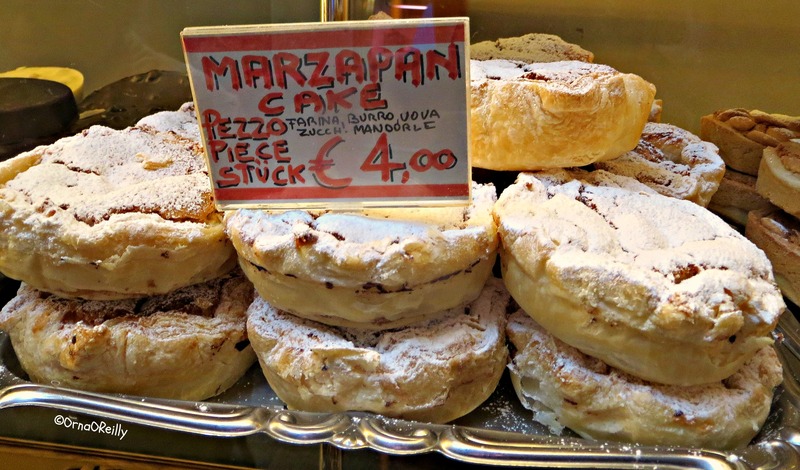 Venice is no exception and is chock-full of pasticcerie, or pastry shops. Photo Bomber Tom Weber at work! 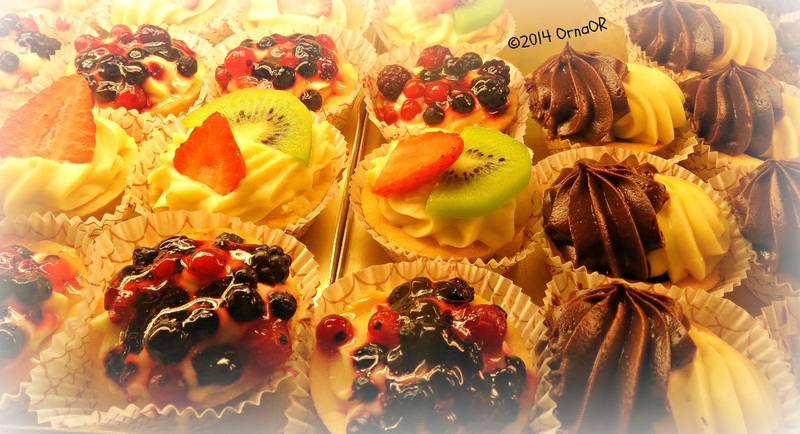 Our first port of call had a dizzying – think sugar rush – assortment of pastries of every shape, size and colour on display. 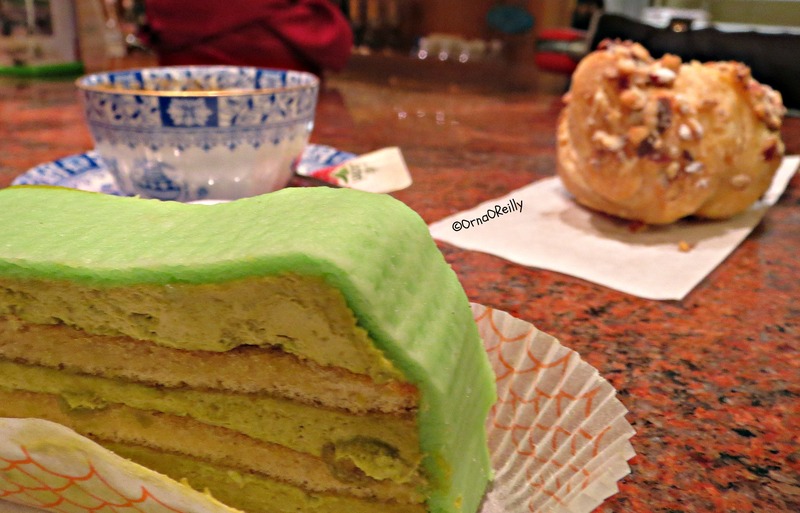 Thinking with my photographic hat on, I chose an ultra-colourful green confection which oozed calories and tasted delicious in a squishy sort of way. I was pretty relieved that I had gone without breakfast, as it slid effortlessly over my tongue. Washed down with a café macchiato, it was a sweet start to the day and fortified me against the elements which continued to buffet our umbrellas as we continued on our wet way. 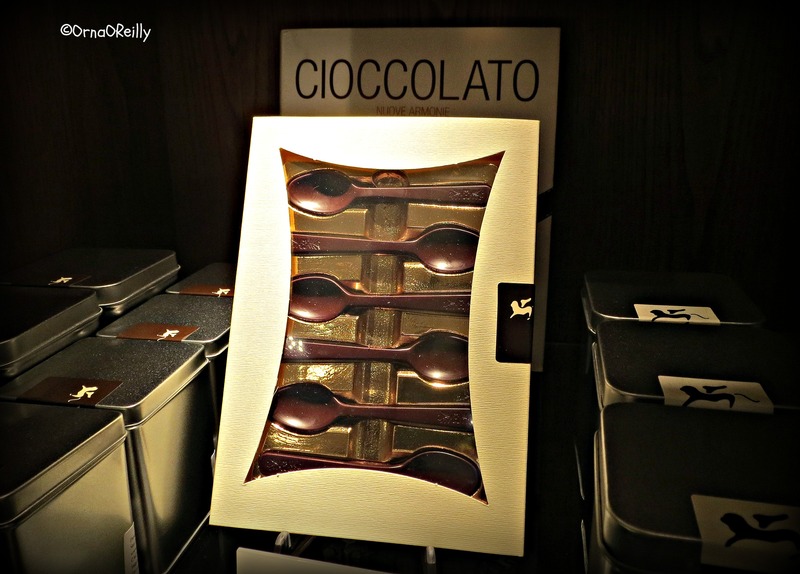 Next we visited an utterly fabulous chocolatier, who will – apparently – talk to Monica’s groups when she does her Walking Venice Cake & Chocolate Food Tour. This lady chocolatier was most interesting to speak to and I can only begin to imagine how a twenty minute discussion on the art of making Venetian chocolate will be the highlight of the tour. 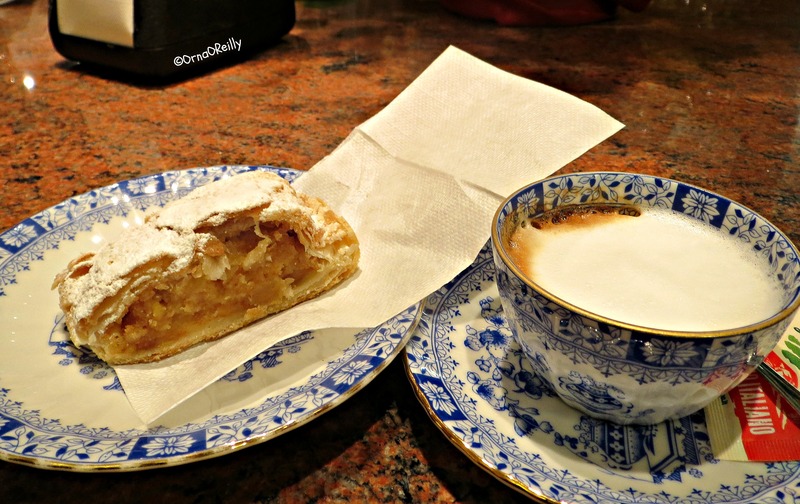 The oldest pasticceria in Venice was the next stop on our tour. Here I experienced a taste explosion in the shape of a Fiamma Zabajon. 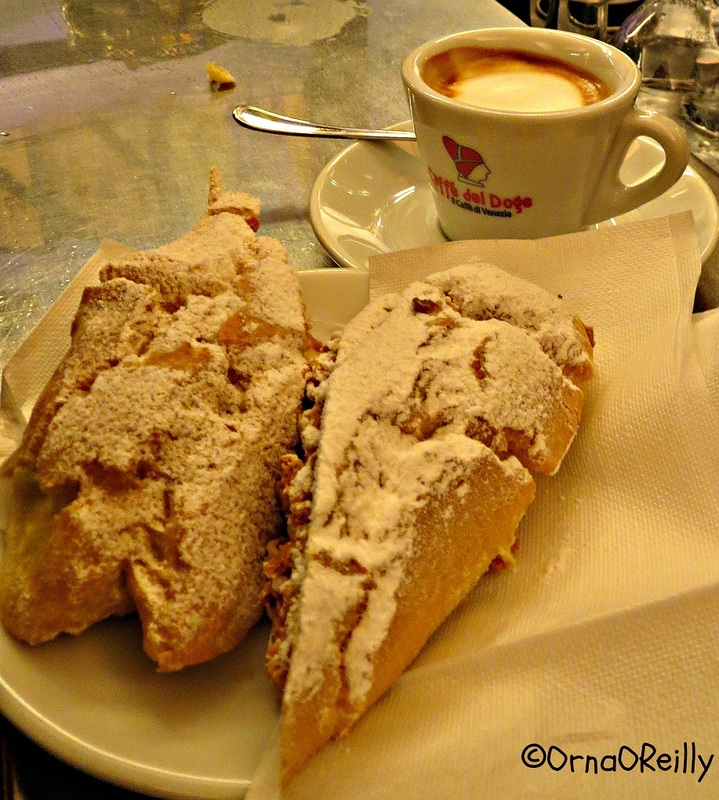 This was a soft pastry filled with zabaglione, that sinful, custardy dessert so beloved by Italians. 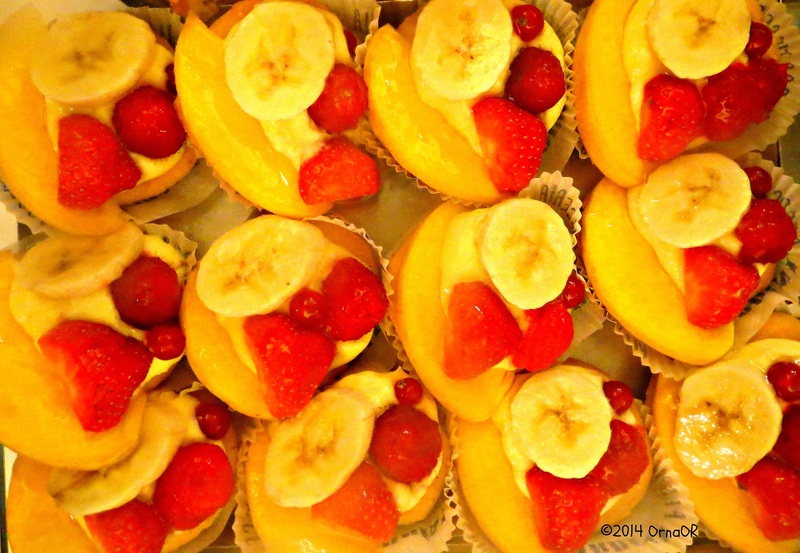 The first time I tasted zabaglione, many years ago, I almost fainted with pleasure. This was utterly delicious and must be sought out and eaten by absolutely everyone who reads this blog! 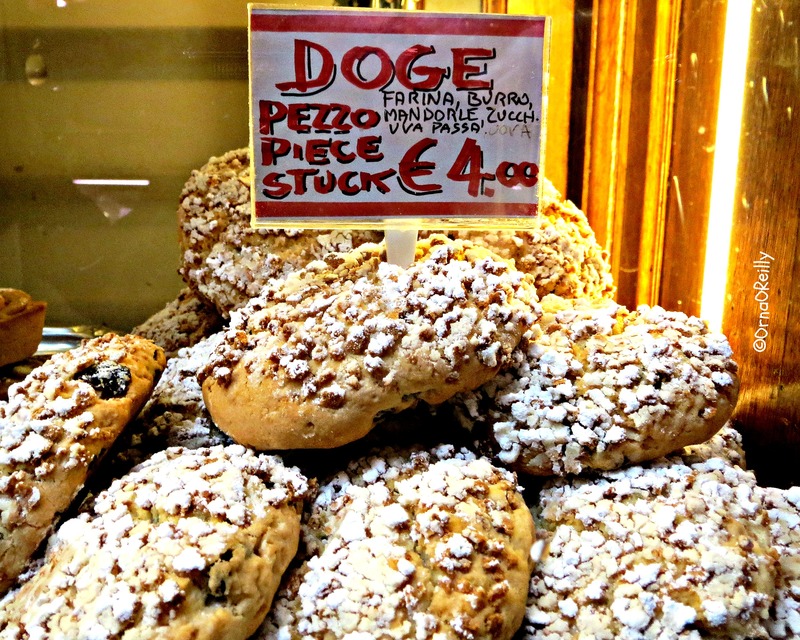 The window was full of traditional Venetian cakes and pastries. Further sugar-rush pasticcerie and chocolatiers were on our route. 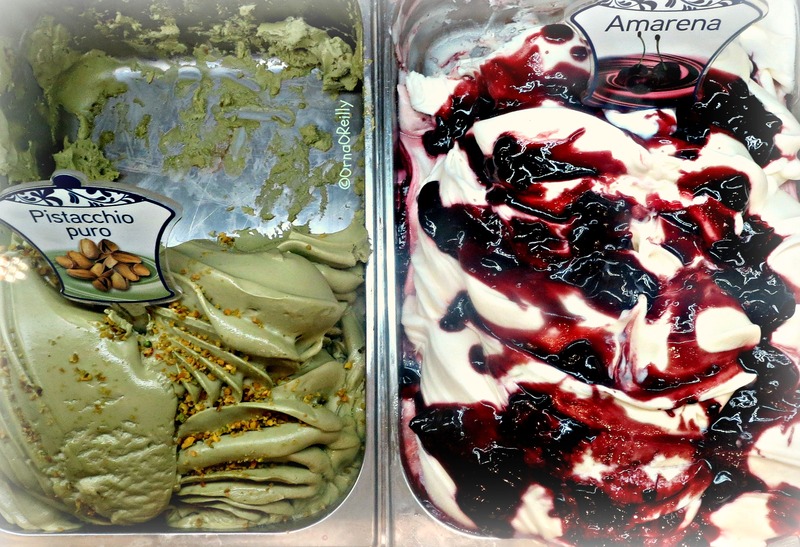 To finish things off, we stopped for a delicious gelato on our way back to the station. Thank you! And I agree, it is a wonderful destination. 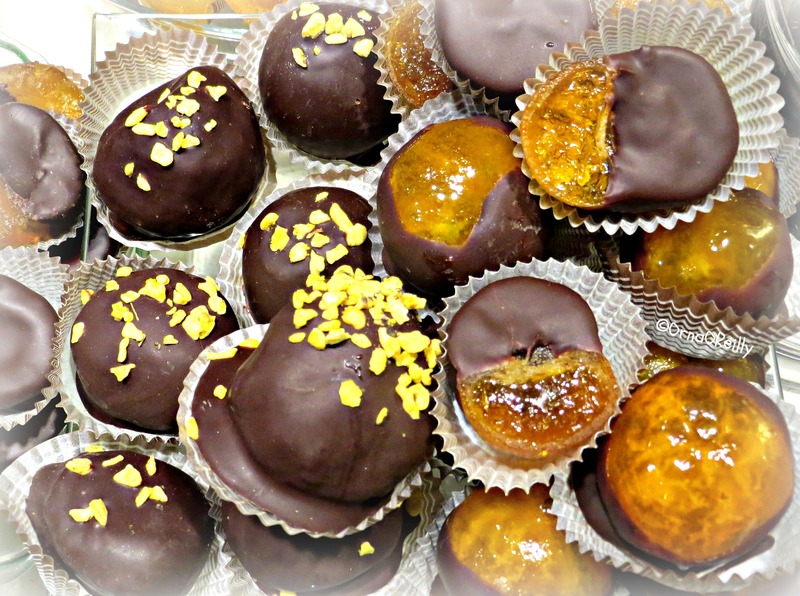 Gorging on cakes and chocolate is a wonderful way to spend a rainy day! Love those fancy over-boots! It was a fun day in good company. The boots were a life-saver. Thanks for the lovely feedback. Beautiful pictures! I visited Venice last summer and completely fell in love with the city ❤ Everything is so lovely! So glad you liked the photos! Venice is truly photogenic. Thank you so much for joining my tour – it was a pleasure to take you all around! Next time maybe with the sun??? Sun would be good, but Alta Aqua turned the day into an adventure. We had the best of fun. You made a soggy day look beautiful! 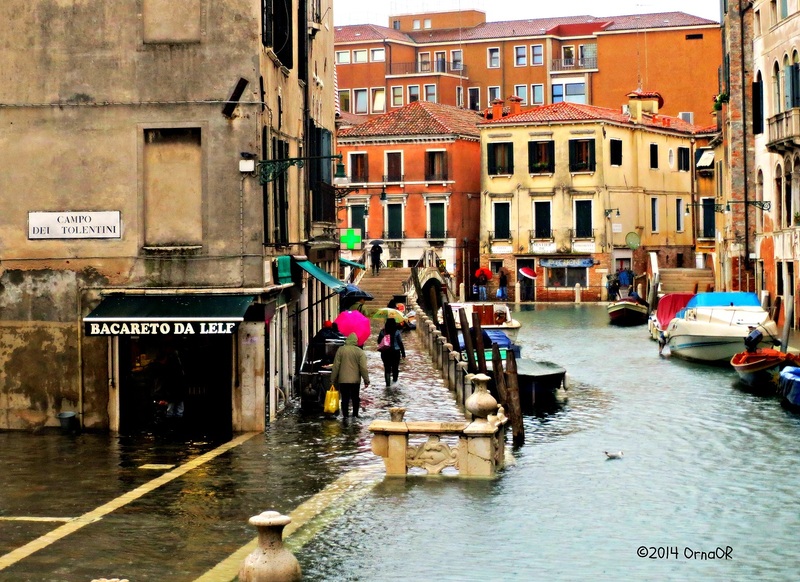 If we visit Venice in Autumn we should pack our boots, I guess. Or my trout fishing waders! Thank you. Waders could come in handy! Glad you enjoyed my blog. My lord, i’m hungry again! 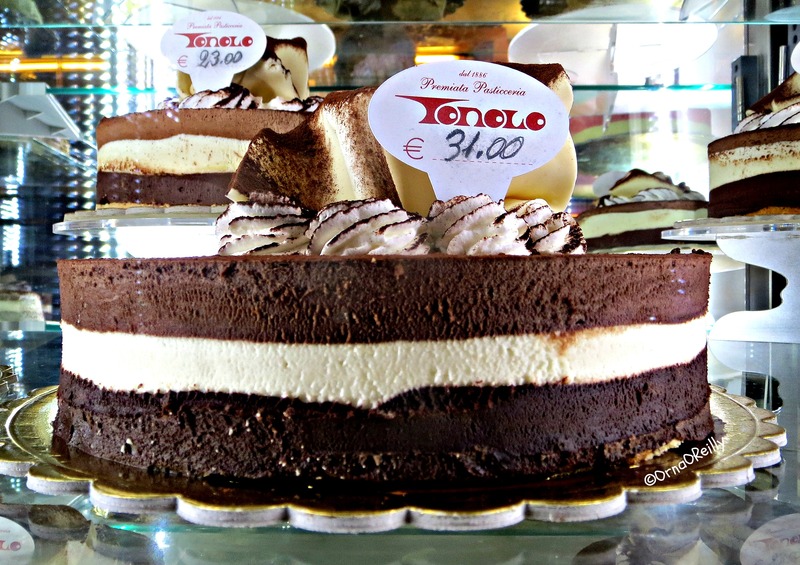 Those Venetian cakes and pastries are impossible to resist. Love the yellow boots Orna!! Thanks Susan. High fashion boots during alta aqua! I would so do this tour!!! How do we sign up?? Great post too, thanks! Wonderful! 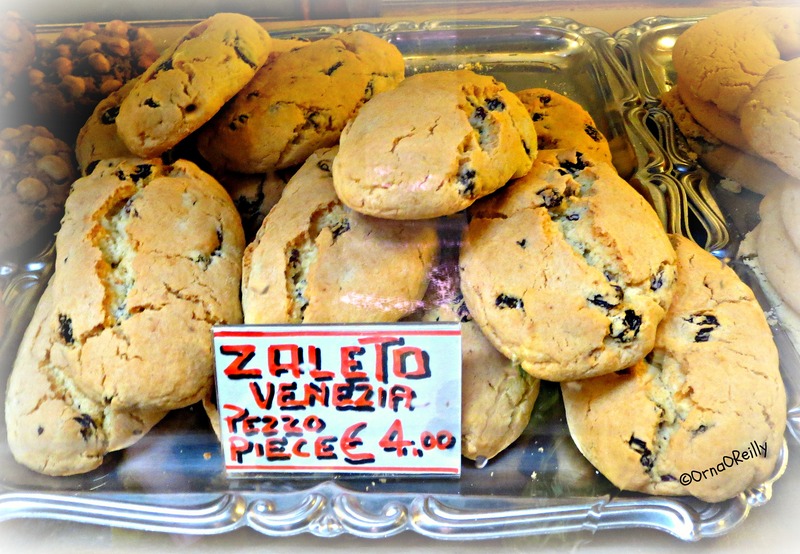 Can you provide info on the Venice Food and Cicchetti Tasting Tour that you mention here? 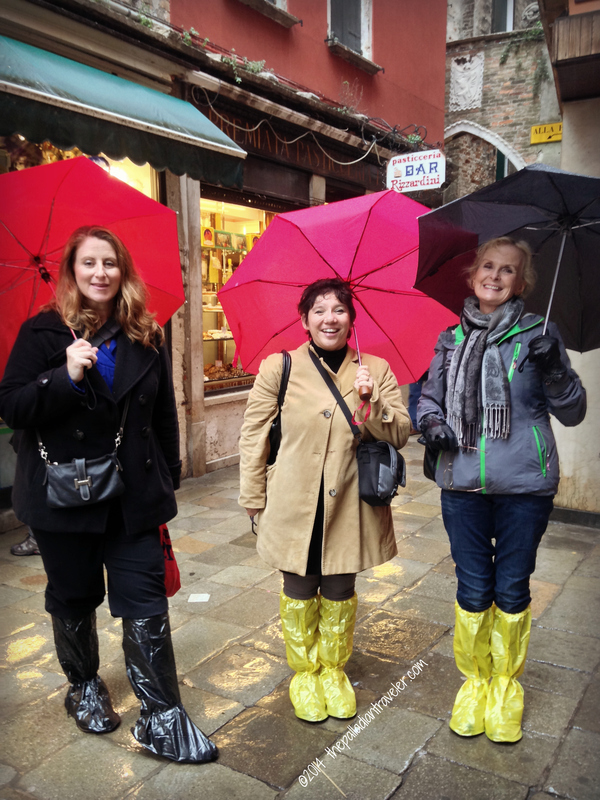 We came to Venice in November and took one of Monica’s first Chocolate tours, and despite having been to Venice numerous times before, found Monica’s tour to be a fascinating insight to all things chocolatey! Her knowledge of the best & interesting places to visit was encyclopaedic, and gave us lots of new places to visit and of course an opportunity to sample the wonderful produce. We will definitely be taking one of her other tours next visit. Oh my! Thanks for the tour, though it doesn’t sit well with my new year’s resolution to give up sugar! Hope your clothes have dried out. Thankfully, no clothes were permanently damaged in the putting together of my blog! However, my waistline is quite another matter………….Thanks for your comments.